Beerbliotek | We're releasing Anagram at our Brewery Tap Room this weekend, and thanks to all who supported our Unperial Stout and A Moment of Clarity releases - Biweekly Brewery Update. 13 Mar We’re releasing Anagram at our Brewery Tap Room this weekend, and thanks to all who supported our Unperial Stout and A Moment of Clarity releases – Biweekly Brewery Update. In this week’s Biweekly Brewery Update we prepare our Brewery Tap Room for the release of Anagram, our latest Gose, and give a big shout out to everyone that supported our release of Unperial Stout and A Moment of Clarity. That’s not how Anagrams work, mate. A Gose with Sour Cherries, Beetroot and Pepper. Two weeks ago we released some photos of this red beer in glasses and asked everyone to guess what they thought it was. No one got it right. Some were close with the style, and one guessed one ingredient correctly. Red beer is a tough one. Most guessed the style to be a Berliner Weisse, and most guessed the ingredients as either raspberries or strawberries. Beer number 201 in our beer library is another one with a rather long name. That’s not how Anagrams work, mate. It’s our second Gose, follows closely on the Gose, Alternative Facts, which we brewed in collaboration with AF Brew last year. We wouldn’t say they are similar, with the exception that they both contain beetroot. This latest one on a very drinkable 4,7% contains beetroot, as well as sour cherries and pepper. Gose is a top-fermented beer that originated in Goslar, Germany. It is brewed with at least 50% of the grain bill being malted wheat. The dominant flavours in Gose include a lemon sourness, an herbal characteristic, and a strong saltiness (the result of either local water sources or as in our case, added salt). Gose beers typically do not have prominent hop bitterness, flavours, or aroma. The beers typically have a moderate alcohol content of 4 to 5% ABV. And if you live in Sweden, you’ll be happy to know that we’re releasing it at Systembolaget on the 1st of May. If you don’t want to wait that long, then get to our Brewery Tap Room this weekend, where we will have the official release party. After that it is heading to our customers and for export. This coming Wednesday, March 14, Richard will be in Spain at Cervecería Manneken BEER. He’ll spend some time chatting with the customers and drinking several of our beers, we’re sure, some of which was shipped very fresh this past month, for this occasion. It’s a good opportunity to taste our beers in an area of Spain that rarely sees them. The beer list is A Moment of Clarity, Not Guilt! The Juice IPA, Colonial Hipster, Staring out Windows and Eternal Dankness. So don’t miss him when he’s in town. Now in over 100 Swedish stores. As a brewery who prides itself on brewing new beer, we’ve been brewing this one quite a bit. On the 1st of March release it officially went into 106 stores here in Sweden as a permanent article. We’ve received some great feedback and responses from a lot of you, saying how happy you are to be able to get our beer in a store close to you. Thank you for your support. It is appreciated. Collaborations are an integral part of our brewing philosophy, so it is no surprise that our friends from All In Brewing, together with an innovative metal festival, helped create this Midwest Pale Ale; transcending style with spirit and gusto leaving only a Scorched Tundra behind. This is our second collaboration with Alexi Front from Scorched Tundra, the second a lot different from the first. This one is a real collaboration, where we discussed recipes and we brewed together at our Kungssten Brewery. And for the second time, the talented Axel Widen created the artwork. The beer is busy fermenting, and the final can design will be released very soon. Thanks to those that attended the launch. Thank you for the visit to our Tap Room two weeks ago, when we released this beauty. It’s number 107 in our beer library, and we thought it just right to add it to our Folköl (Low ABV) beer assortment. It should be showing up in the market as we write this, so don’t miss out. We’d like to brew it again, and maybe even a barrel aged version is in the pipeline. These Countries Drink the Most Beer. We wonder how these figures will change during 2018? The world’s biggest beer drinkers hail from the birthplace of pilsner: The Czech Republic. 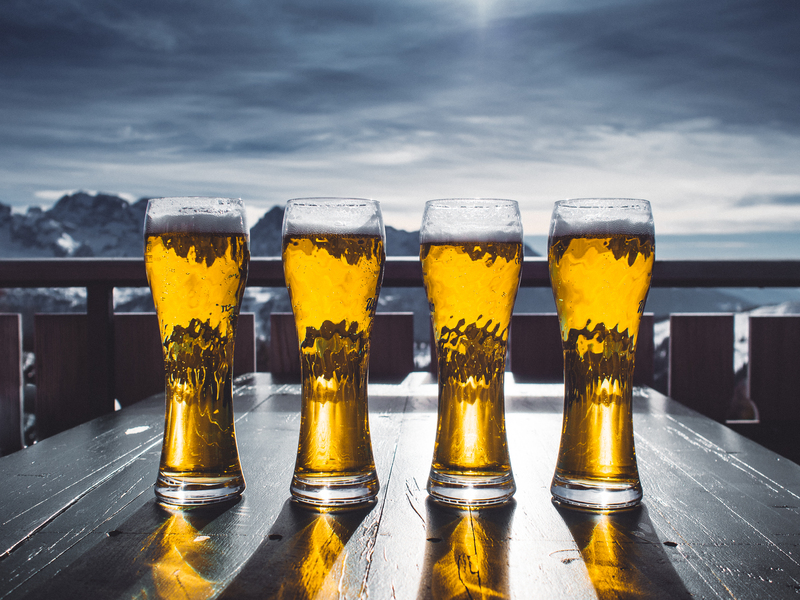 In 2015, the Czechs drank about 142.4 liters (37.6 gallons) of beer per person, according to the most recent data available from Kirin, a Japanese beverage company. That’s about 4,816 ounces, or the equivalent of about 241 standard 20-ounce beers per person in a year. A great part of the job. Hands down, this has to be the best part of the job. Tasting beer in all stages of the process. Most customers only get to taste the final product, but at the brewery you have access to all the fermentations tanks, and YOU HAVE TO, take some samples for tasting and testing. Tough job, but someone has to do it. Everyone is welcome at our Brewery Tap Room. Hands down the best thing about this weekend’s tap list is Anagram, our Gose with Sour Cherries, Beetroot and Pepper. The rest of the beers are always dependant on freshness, and availability. Yes even the Tap Room can’t always get hold of certain beers. Most on this weekend are Session IPA’s, Pale Ales, and IPAs. Then there’s our Brown Ale collaboration with Norway Brewing Co and a very fresh keg of Bobek Citra. We also decided to keep Black Ale Chilli and Unperial Stout on the list for those that missed out. As always, doors open Fridays 17-21 and Saturdays 14-19. Come on by, and say hi. That’s it from us for this week. We’ll be back in two weeks.